Important note: Currently there may be longer waiting times at the entrance to the Bauhaus Museum. Please take note of the time slot on your tickets and be on time. Online tickets with time slot do not entitle you to the immediate entrance to the museum, these tickets must be validated at the cash desk. If you no longer get an online ticket, there will be a contingent exclusively for the current day at the museum cash desk from 10 am (max 4 tickets per person). Since we can only accept a limited number of visitors within a certain period of time for conservation reasons and fire protection reasons, this daily quota is also limited and can be sold out during the day. 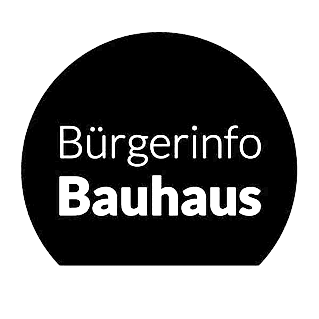 On the occasion of the 100th anniversary of the State Bauhaus in Weimar, the Klassik Stiftung Weimar presents the grand opening of the new Bauhaus Museum Weimar in April 2019, showcasing the treasures of the world’s oldest Bauhaus collection. As a place of open encounter and discussion, the museum highlights the early phase of the most influential school of art and design of the 20th century, tying its history to questions of how we envision our living environment today and in the future. The exhibition “The Bauhaus Comes from Weimar”centres around the key issues, ideas and design proposals of the Bauhaus and its significance in our life today. The Bauhaus was a place of experimentation in the free and applied arts, design, architecture and education. Based on the question “How do we want to live together?”, the exhibition highlights key issues which are just as relevant today as they were in the Bauhaus era. Projects of the Klassik Stiftung Weimar are funded by the European Regional Development Fund (ERDF) and the Free State of Thuringia, represented by the State Chancellery of Thuringia, Department of Culture and the Arts.